We have a touching super 8 film from Joel Serrato Films that is seriously going to knock your socks off. Not only is the film beautiful but, the wedding was out of this world. It looked like it jumped straight out of a magazine. Shot by the ever so talented Aaron Delesie and event planning and design by Beth Helmstetter Events. This video is no longer available to view. Please visit Joel Serrato Films on their website or blog. 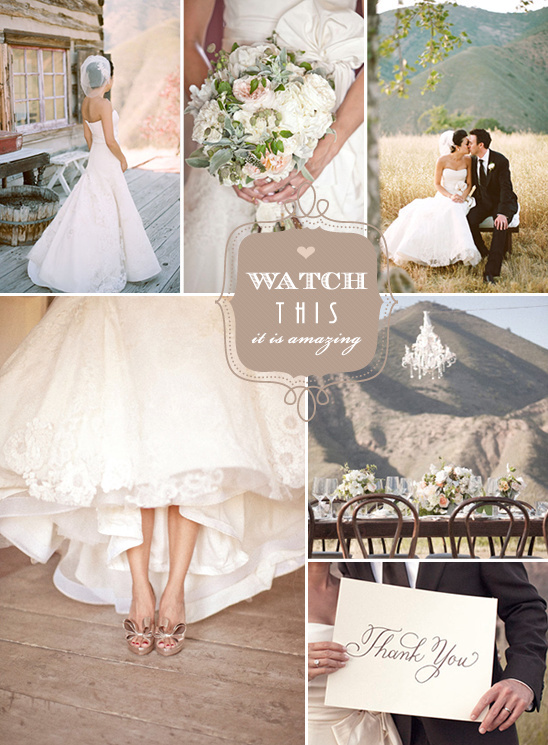 You definitely have to see the entire wedding it all of it's glory over at our friend Style Me pretty. You can view part I here and part II here!